Liz Fielding was born on 1th June in a small country town in Berkshire, England, UK. She has been reading since she was knee-high to a gnat. Her mother taught her, the way her mother taught her all the good things in life. Her mother read to her when she was little and then her mother bought her books of her own. Little Women, What Katy Did and Anne of Green Gables. She read them all until the covers fell off. Liz was a secretary and she met John, an engineer, while they were both working in Lusaka, Zambia. They married and had travelled the world together before settling down to raise their family. When Ami, their first kid was born, her husband given her pearl earrings, made from pearls fished from the Bahrain pearl beds by her own husband. Later, they had other kid, Wil. She started writing when her children were small and her husband was working abroad. In 1982 was published her first romance, An Image of You,, was set in Kenya, in a place she knew well, and was plucked from the slush pile because the feisty feminist heroine made her editor laugh. Emotion touched with humor has been the hallmark of her books ever since. Liz lives in the house built by her husband in Wales, near Caermyrddyn, Merlin's Fort. The land is steeped in legend, the hilltops crowned with the remains of ancient castles. She lives in a tiny village that she loves and rarely leaves, keeping in touch with readers and friends through the magic of the Internet. In 2005, when she was nominated for a RITA Award from the Romance Writers of America, she made an exception and flew to Washington for the Romance Writers of America conference, where she had a great time playing tourist as well as meeting up with lots of old friends. 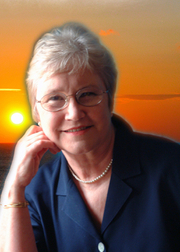 Liz Fielding is currently considered a "single author." If one or more works are by a distinct, homonymous authors, go ahead and split the author. Liz Fielding is composed of 2 names. You can examine and separate out names.